The invasive plant pathogen Phytophthora cinnamomi (Stramenopila, Oomycota) has been introduced into 15 of the 25 global biodiversity hotspots, threatening susceptible rare flora and degrading plant communities with severe consequences for fauna. 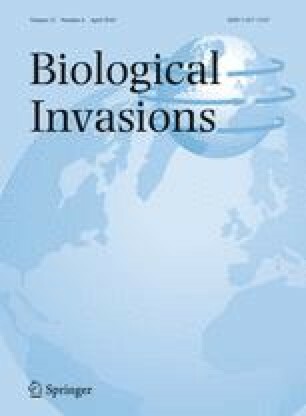 We developed protocols to contain or eradicate P. cinnamomi from spot infestations in threatened ecosystems based on two assumptions: in the absence of living hosts, P. cinnamomi is a weakly competitive saprotroph; and in the ecosystems we treated, the transmission of the pathogen occurs mainly by root-to-root contact. At two P. cinnamomi-infested sites differing in climate and vegetation types, we applied increasingly robust treatments including vegetation (host) destruction, fungicides, fumigation and physical root barriers. P. cinnamomi was not recovered at three assessments of treated plots 6–9 months after treatments. Given the high rates of recovery of P. cinnamomi from untreated infested soil and the sampling frequency, the probability of failing to detect P. cinnamomi in treated soil was <0.0003. The methods described have application in containing large infestations, eradicating small infestations and protecting remnant populations of threatened species. Funding was provided by the Department of Environment, Water, Heritage and the Arts (Commonwealth of Australia). We thank R. Armistead, B. Morrison, M. P. Dobrowolski, K. Howard, C. E. Crane, Y. Chen, and S. Barrett as principal contributors in the execution of field experiments. The Department of Environment and Conservation (Western Australia), and the Parks and Wildlife Service (Tasmania) gave material support. We thank, without implication, two anonymous reviewers for thorough and perceptive feedback on the first submission of this paper.